Hobby Lobby is one of my favorite stores. Many of the décor and crafting items I used for my wedding was bought at Hobby Lobby because they have such good prices and sales. Another reason I love hobby lobby is because they sell such cute home and seasonal decor that you can buy… or make yourself – using their products of course! 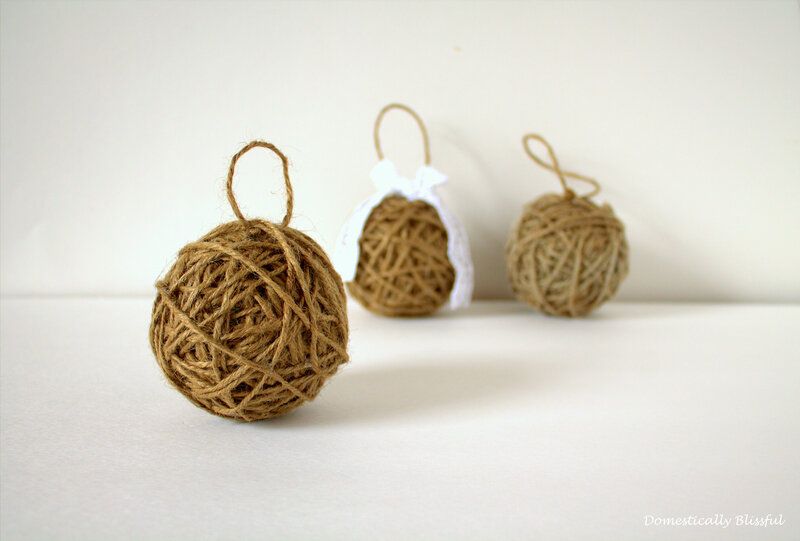 These Twine Ornaments were inspired by some twine ornaments that I saw at Hobby Lobby recently and just had to make. I know some of you might be thinking why not just buy the ornament at the store it’s only 6.99 – plus %50 off. But why buy what I can make – especially when I can make them in mass quantity and individualize them to my own taste! I can’t wait till we get our Christmas Tree! Plastic Ball – I found a bag of 100 plastic balls at Wal-Mart for around 12 dollars. 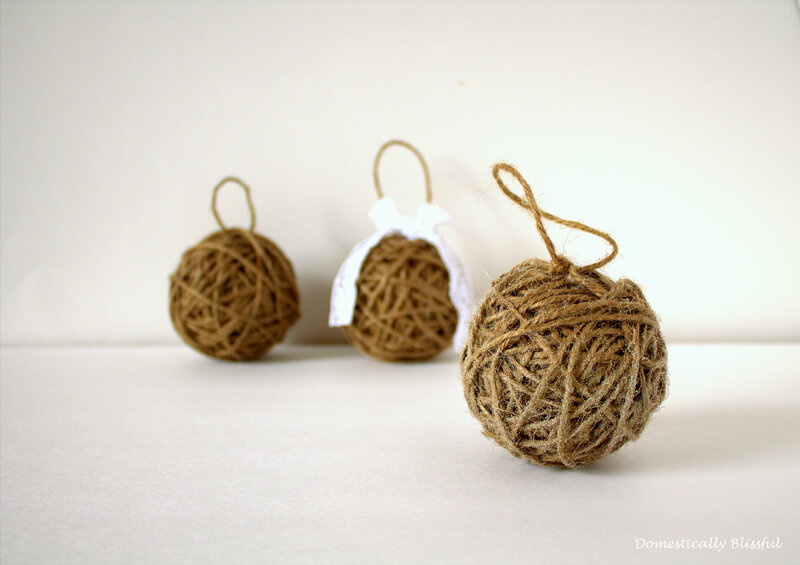 These are the same plastic balls that I used to make these Decoratively Wrapped Twine Balls – they too will soon adorn my Christmas Tree! 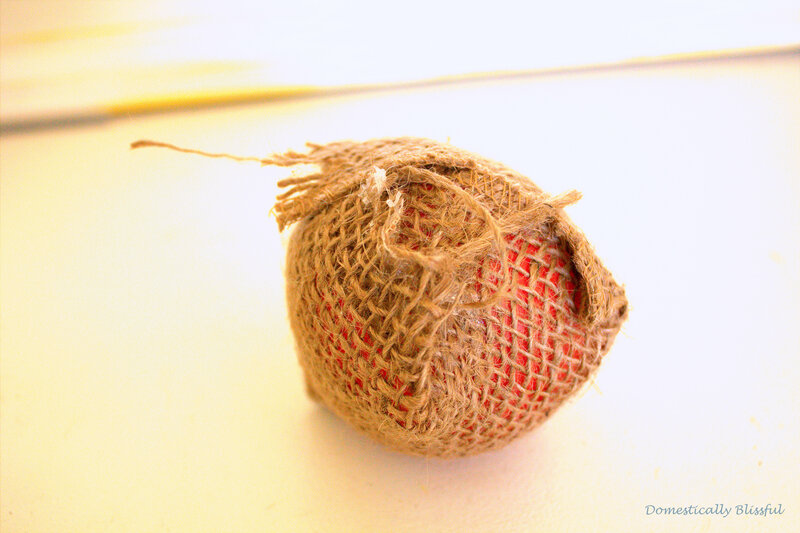 First, cover the plastic ball either by spray painting it a dark color – and letting it dry before decorating – or covering it with a little bit of burlap. 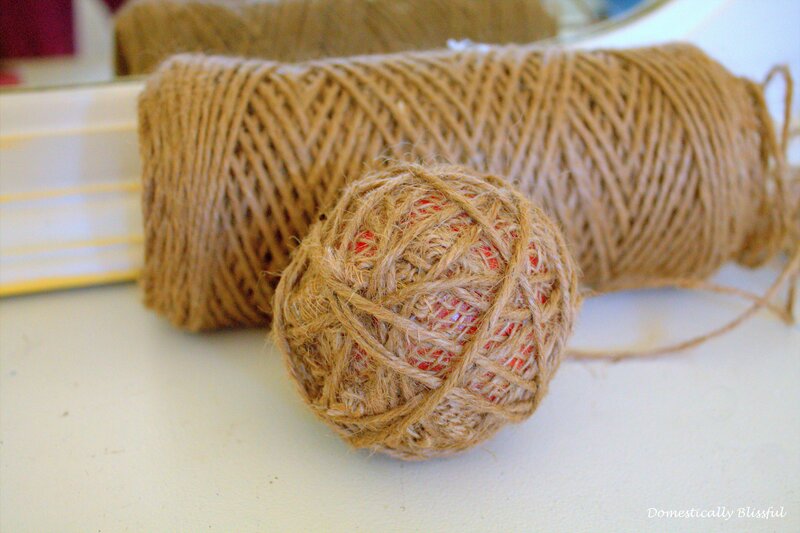 Because I live in an apartment I covered it with burlap – don’t worry about the bumps or if there is still a little bit of color showing throw the twine will cover it up. 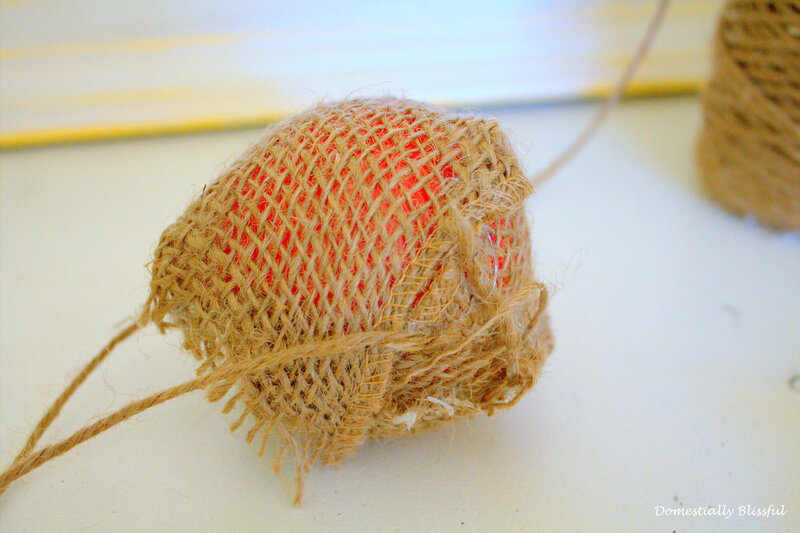 Next, attach the end of the twine to the plastic ball with some glue and start wrapping the twine around the ball. 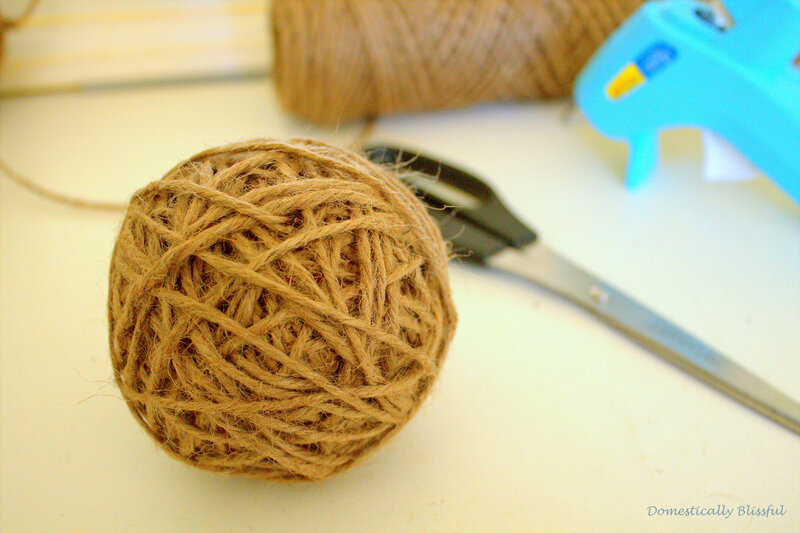 Keep wrapping in random directions until the whole ball is covered and little to none of the ball is showing. 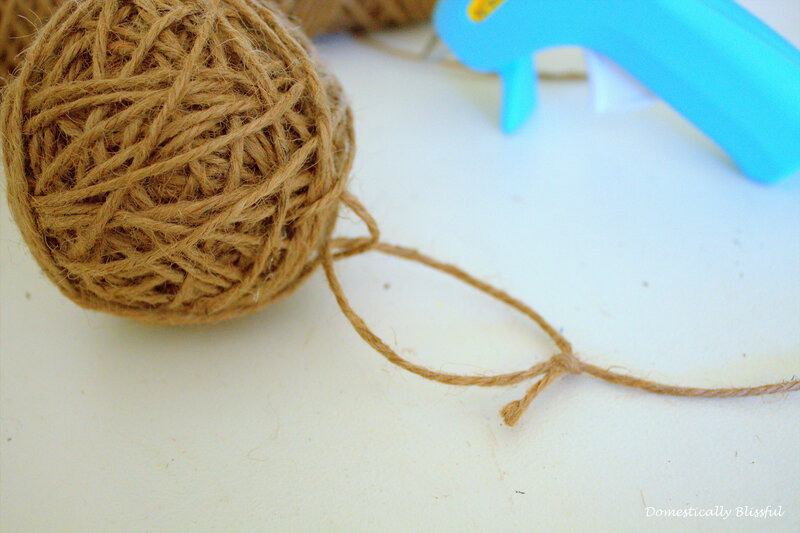 Cut the excess twine and glue it under one of the twine layers. 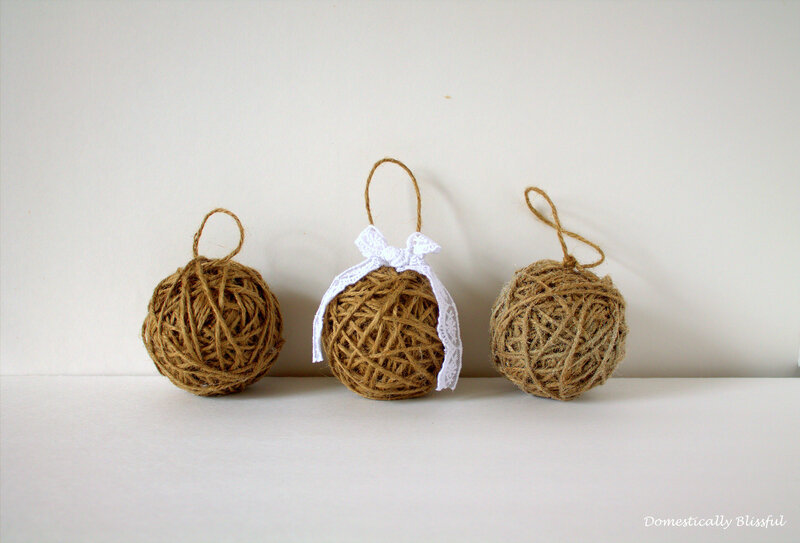 Add a loop of twine or lace so that it can easily hang from a Christmas tree branch and glue down any loose twine – as seen in the picture above where the loop is connected to the ball. I decided to leave one of the three Twine Ornaments plain. 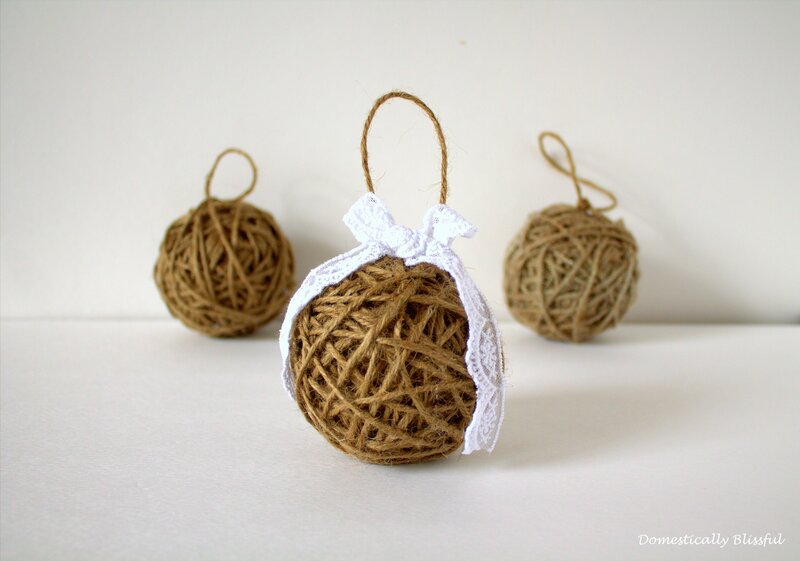 To one of the Twine Ornaments I added a lace bow. I also sprayed on some Krylon Glitter Blast, Diamond Dust to one of the other Twine Ornaments to give it some glitz – it is kind of hard to see the glitter in this picture, but believe me there is lots of sparkle!